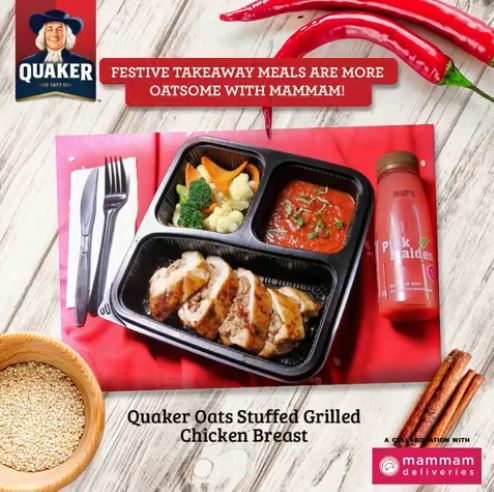 The Quaker oat brand of Pepsico (Malaysia) is collaborating with the food delivery companies to develop menus incorporating Quaker oats. 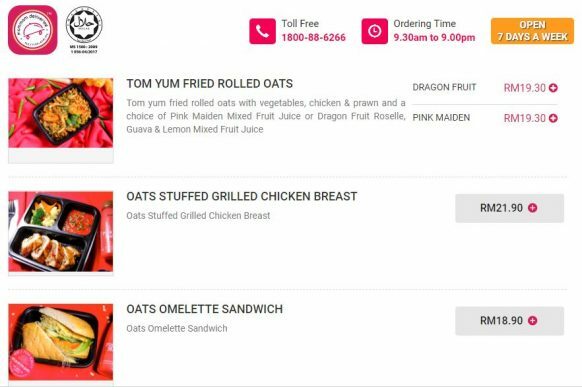 The partnership with Mammam, the provider of halal certified Asian meals delivered on-demand, sees the creation of three Quaker oat meals – Tom Yum Fried Rolled Oats, Oats Stuffed Grilled Chicken Breasts and Oats Omelette Sandwich. 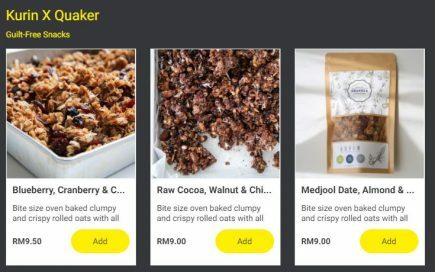 The collaboration with Kurin, the provider of health food on-the-go, on the other hand sees the launching of Kurin x Quaker guilt-free snacks. The snacks comprise Blueberry, Cranberry & Chia Seeds, Raw Cocoa, Walnut & Chia Seeds, Medjool Date, Almond & Chia Seeds and Gluten-Free Protein Brownies. We have seen other brands collaborating with the foodservice industry players. 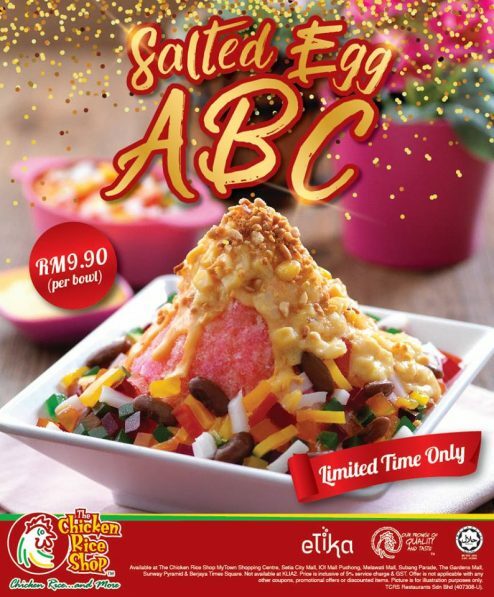 In December 2017, Etika Group of Companies (Etika) worked with The Chicken Rice Shop (TCRS) to unveil Salted Egg ABC into TCRS menu. The ais kacang dessert featured Dairy Champ condensed milk. 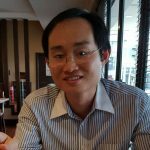 The halal chicken rice chain previously partnered with Mamee-Double Decker (M) Sdn Bhd in January 2017 to come up with the limited edition Ayam Rangup Berapi. 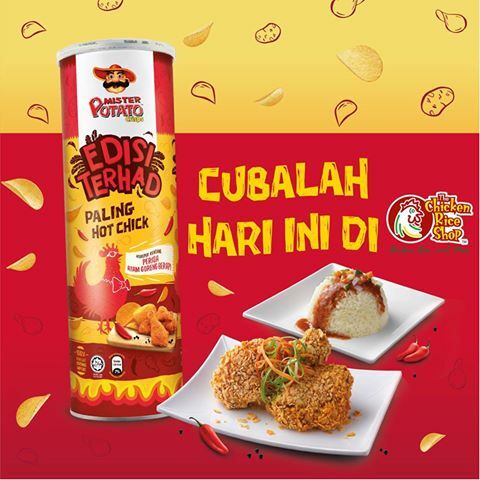 The chicken rice dish was coated with Mister Potato Crisps Fiery Fried Chicken flavour. Food manufacturers are finding ways to reach out to more consumers and one approach is to collaborate with foodservice operators to create co-branded products. Such approach exposes consumers to new ways of consuming their familiar food, thus creating more excitement for the brands.